Sorry, no guest list or this event... please purchase your ticket before prices increase. James Kennedy Dj / Producer, Model & Actor originally from London currently living in Los Angeles. 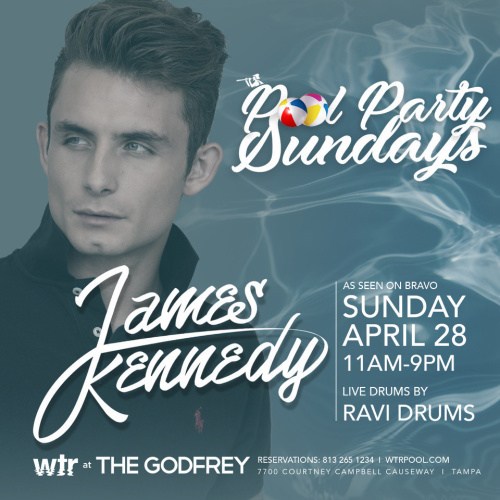 He is the star of hit reality TV show Vanderpump Rules on Bravo as a DJ he has performed all over North America and his fan base is continuing to grow making him an International Star. Ravi Drums has created a new musical revolution.